n November 14th, this Ruffed Grouse was found on the road in Pender Harbour, possibly hit by a vehicle. He was taken to Sechelt Animal Hospital and transferred to us for care. On arrival he could not hold up his head so we suspected he was suffering from concussion as we could not find any injury. We gave the grouse medication and had to tube-feed him for the next few days as he continued to stand with his head hanging down, hardly moving. Gradually his condition improved and we recently put him into a larger enclosure as he is now eating on his own. We are hopeful he will be ready for release shortly. In January, the ruffed grouse was released. See the release in this video. 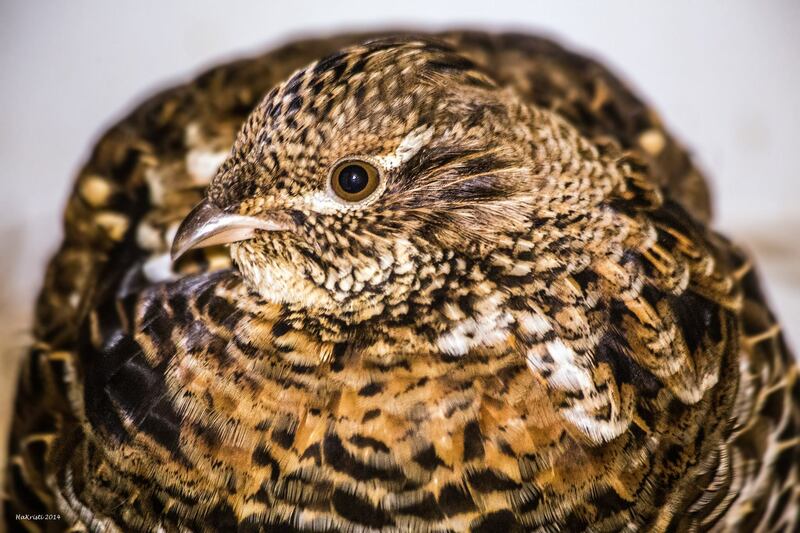 The ruffed grouse we had in care was recently released. As you can see from the video she did not take long to exit the kennel cab and disappear into the deep forest towards a creek where she was lost sight of completely. When she was admitted we were not sure if she was a male or female but on the day of her release she left an egg in the hay in her cage – so our query was answered! Be safe little grouse and enjoy being back in your forest home.